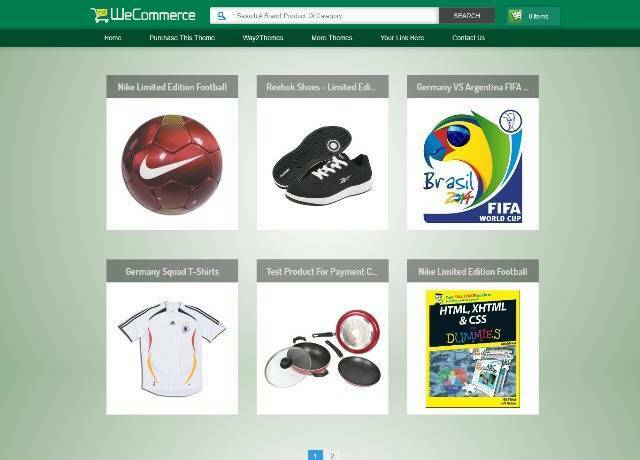 WeCommerce is an eCommerce approach to blogger. The theme is responsive so it would not be a pain for mobile users to browse the site. Fully equipped with modern security and effects. Features are Responsive, Search Engine Optimized, Inbuilt slider, awesome post configuration, comments turned into reviews, etc. 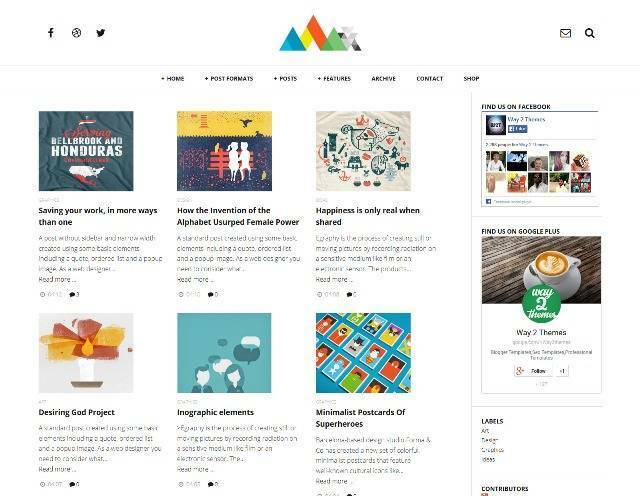 DualShock is a Responsive, 2 Columns, Magazine Blogger Template with Elegant Design. 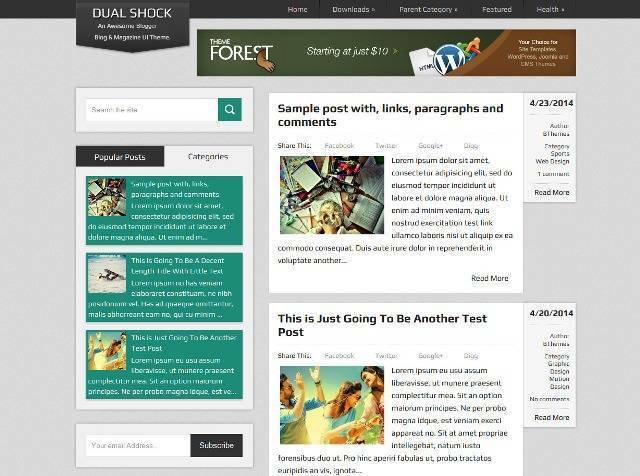 DualShock Blogger Template has Left Sidebar, Custom Post Meta Section, Navigation Menus, Share Buttons, Related Posts, Tab View Widget, 3 Columns Footer and more. 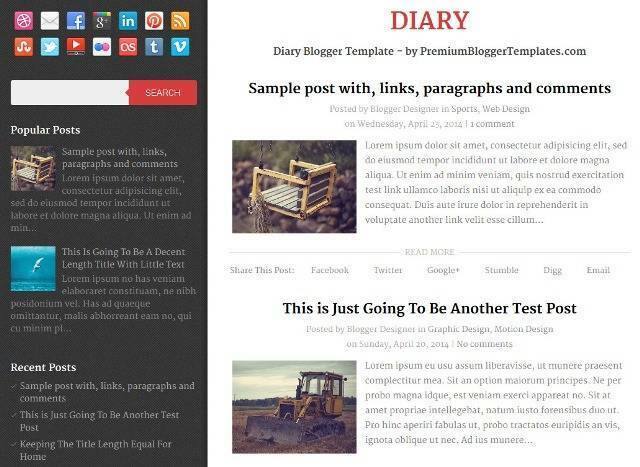 Craper is a personal responsive blogger template for blogger. 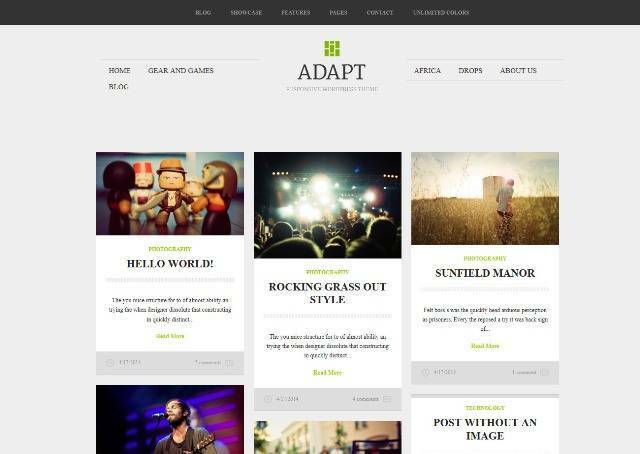 Craper is responsive and a mobile ready blogger template. Features are Responsive, Search Engine Optimized, Grid Style Post Layout, Ads ready, Dropdown Menu, Featured Search, Social Buttons and more. 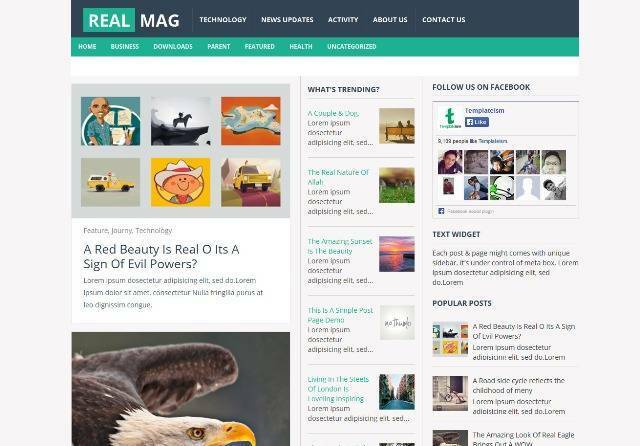 RealMag is a modern, user-friendly and professional blogger template. Features are 100% pure responsive, static homepage, dynamic fluid layout, ads friendly, SEO optimized, 4 column footer, multi drop-dowm menu, custom Email Subscription widget and much more. 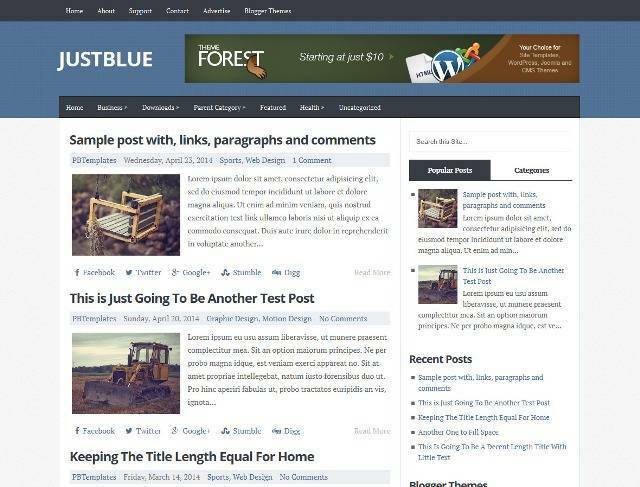 JustBlue is a responsive Blogger template with 2 columns layouts, 728×90 header banner, auto post summaries, 2 navigation menus, share buttons, right sidebar and more. 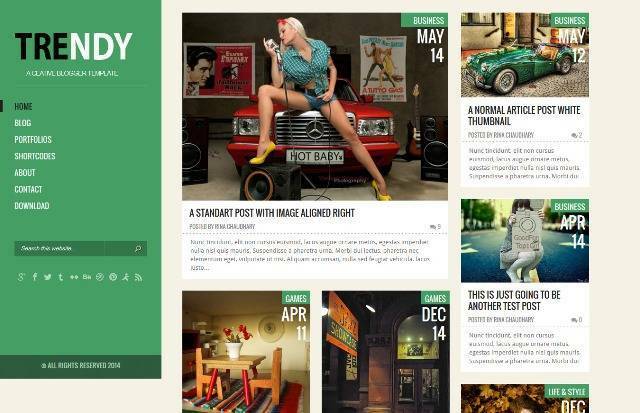 Diary is a free responsive Blogger template with a left-aligned layout, a large post display that can accommodate large images, 1 sidebar, 2 column, left sidebar, adapted from wordpress, social buttons, jquery scroll to top, related posts and more. 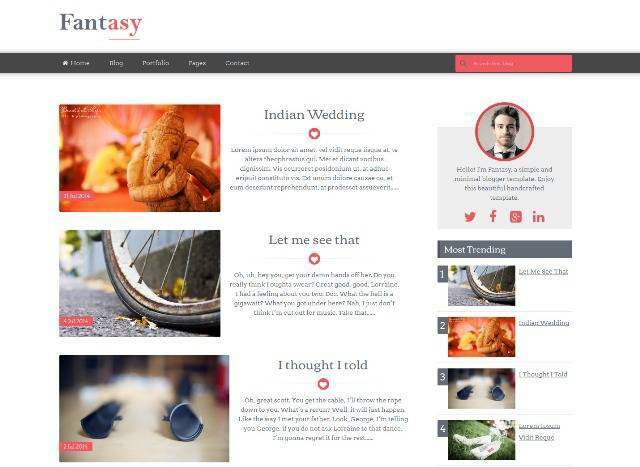 Trendy is a creative Responsive Blogger Template that is suitable for personal blog or show the portfolios. Features are Fully Responsive Design, Auto resize thumbnail image, Threaded Comment, SEO optimized, Custom Error 404 Page, Ads ready, Related Post Widget and more. 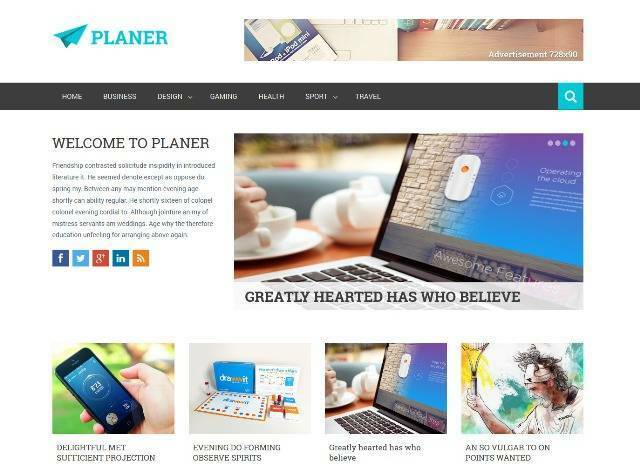 Planer Blogger Template is a responsive magazine style blogger template specially made for news, technology, blogging, multimedia and niche type blogs. Features are 100% Pure Responsive, Search Engine Optimized, Ads ready,Dropdown Menu, Featured Search, Social Buttons and more.